Today, on Independence Day, we look back on American Films about America. We will be taking some time to look at Rocky, the 1976 Best Picture winner, in this limited series of reviews during major American holidays. 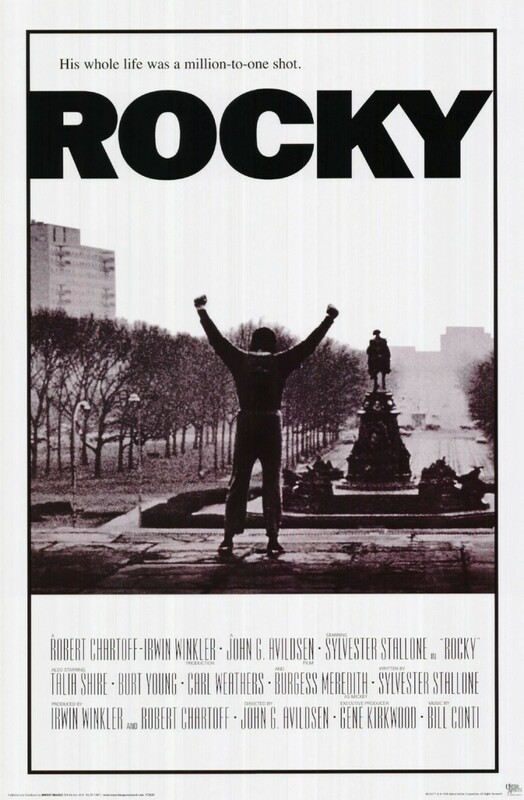 Rocky is the first sports film to win Best Picture. It also holds the distinction of being the Best Picture with the most sequels, six as of this year’s upcoming spin-off Creed. In 1975, Sylvester Stallone (The Expendables, Grudge Match) had less than $200 in his bank and not enough money to feed his dog. He believed in his screenplay and vision so much so that when the script was purchased, he gambled his career on the bet that he could perform. When casting Apollo Creed, Carl Weathers (Predator, The Comebacks) was hired when he made a crack about Stallone’s inability to act. Ironically, Weathers didn’t receive an acting nomination but Stallone did. 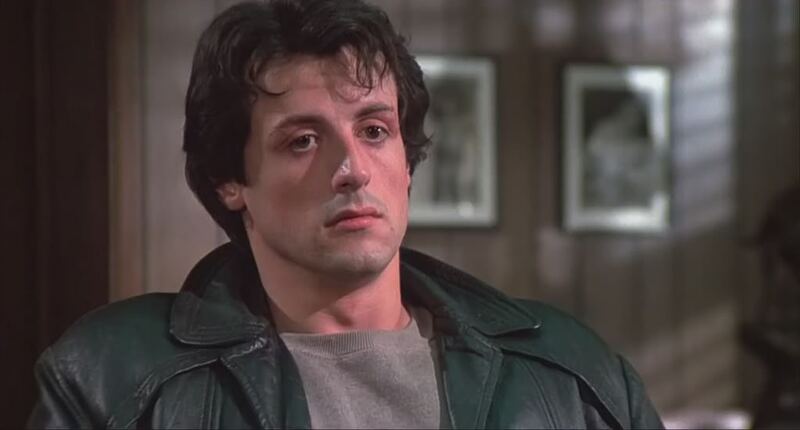 Rocky Balboa (Stallone), also known as The Italian Stallion, is a southpaw boxer who hasn’t had luck in life. He boxes when he can, but in order to make ends meet, he has to hustle for a loan shark. He can’t seem to get closer to the woman he cares for, Adrian (Talia Shire, The Godfather: Part II, Palo Alto), and his closest friend is a drunk named Paulie (Burt Young, Once Upon a Time in America, Rob the Mob), who happens to be Adrian’s brother. But when Apollo Creed, the heavyweight champion of the world, needs a gimmick for his upcoming New Year’s Day fight, he calls upon the little guy, The Italian Stallion, Rocky Balboa himself. 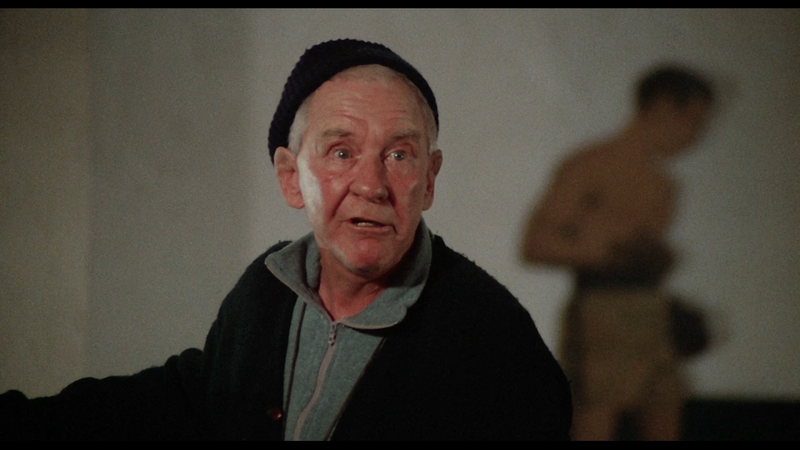 Now, with the help of aging manager Mickey (Burgess Meredith, Grumpier Old Men, Santa Claus), Rocky is going to try and take on the biggest boxer in the business and seize his chance at being a somebody in this film from director John G. Avildsen (The Karate Kid, 8 Seconds). Rocky is a great sports film, one of the greatest ever. Director Avildsen gives his greatest work as a filmmaker here, ably controlling several variable factors to make a compelling character piece. I think what makes it such a strong and moving film is the likable underdog in Rocky, written and played well by Stallone, and the focus on creating interesting characters first and foremost and keeping the focus on them over the actual sports moments. It’s just like how the best war films are about great characters experiencing war. Stallone and Avildsen worked well together to fix issues as they came up, with Stallone writing scenes like the one where Rocky points out the mistake on his shorts the night before the fight or him calling out the oversized robe. These scenes were added due to production errors but because of the partnerships, you’d never notice. Well, I guess now you would. We also get great work from Shire, Young, and especially Meredith, who gives a performance that only seems cliché because of how many films copied it later. I even really loved Weathers as Creed even if he didn’t get the nomination. The terrific score from Bill Conti is the stuff of legend, a piece of musical brilliance imitated but rarely met. The Academy Award Nominee song “Gonna Fly Now”, also known as the Rocky Theme, stands with it as a franchise signature. Rocky suffers from some uneven cinematography not counting the fight scenes, which are top notch. So is Rocky the best film in the series? Yeah, I suppose so, but I do enjoy watching it in conjunction with the sequel, Rocky II. In fact, I love the Rocky series in general, with the notable exception of Paulie dating a robot in Rocky IV (still a great film, but I mean…c’mon…). Rocky is, from a technical sense, a great film with an ending that challenges the conventions of most other similar films. See this one, and love it.